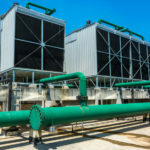 Comfort and Process Solutions of Central Kentucky goes beyond Commercial HVAC but also focus on improving your company’s comfort and process. 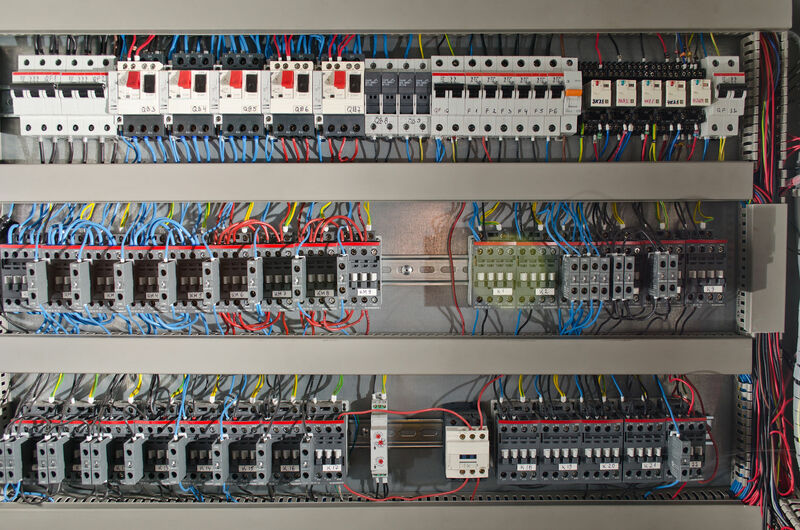 In that regard, CPS has over 12 years’ experience offering their commercial clients an added benefit by providing Commercial and Industrial Controls, including installation, programming, monitoring and training. 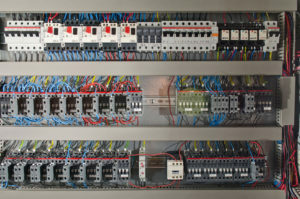 Controls provide an integrated system of hardware, technology and programming to automate the functionality of the company’s buildings, factories and offices. 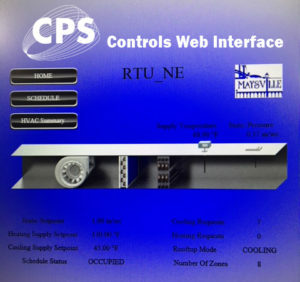 Control technology integrates every aspect of the building from the security systems, locks, lighting, heating, ventilation, and air conditioning (HVAC), refrigeration (HVACR), energy management, and fire protection. After professional installation, our technicians work closely with the company’s staff or property manager to find the optimal settings for your specific business or production needs. 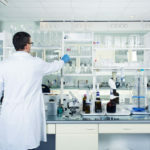 What are the benefits of Commercial Controls with CPS? Energy Efficiency: With automated controls, processes are turned off when not in use, thus saving energy and utility costs. For example, we can program controls to turn heating or cooling systems down when the staff leaves for the day, and then slowly turn them on to prepare for the next work day, so your staff stays comfortable and your equipment remains at optimal manufacturer’s recommended temperatures. Improved Security: Bypassing the possibility of human error, security systems are always turned on and set to appropriate settings at the open and close of business hours. Comfort Process Solutions has the Niagara Security Certificate to ensure accurate security settings to protect your investments. Cost Savings: With settings programmed for the most efficient performance of your commercial equipment and HVAC systems, you extend the life of your hardware. 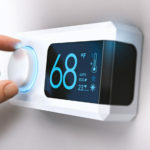 Controls set with a focus on energy efficiency, results in lower energy usage as well as lower utility bills. In fact, the controls can be set so specifically that you can program each room or area of your building to different temperatures to accommodate each member of your staff and their preferences. Increased Accessibility: You and your staff can access your system’s controls from any computer at any location wherever there is internet access. We provide a secure login for your users so you can monitor current setting, run analytics reports to measure performance, and anticipate any issues that may arise before it becomes a costly repair. Our user interface is very easy to use, easy to read and navigate through the levels of controls so no experienced is needed nor any special training to maintain. The staff, manager or property manager can access the web interface anytime, anywhere. We provide training to you and your staff on how to manage your systems and we use open protocols that are fully scalable, which allows easier management. Our controls web management software is responsive, secure and mobile-friendly so you can utilize on pc, smartphone or tablet. On-Going Support and Monitoring: We don’t just install the controls hardware and walk away, but our staff has the knowledge, experience and certification to properly program the controls for functionality, usability and the highest energy efficiency. With our remote monitoring, our staff, who are certified and experienced on Controls Management, have expertise that goes far beyond the installation of controls hardware, but they understand that even the highest quality product does not increase performance unless the settings are programmed, fine-tuned and customized to the client’s needs, environmental changes and production outputs. 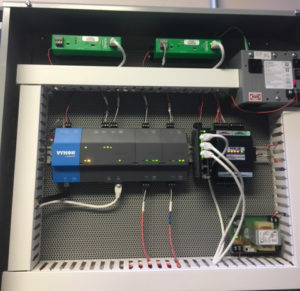 CASE STUDY: We had one local company call us with a valid complaint on their current controls system (that was not installed by our company). 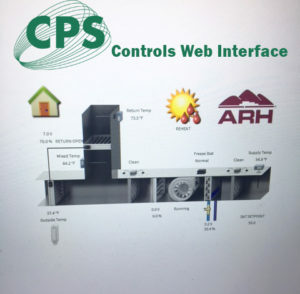 The CPS team promptly visited and analyzed the controls hardware and programmed settings, only to find that the system was not correctly programmed at the time of installation. We also discovered that the user interface that the staff was using to update and maintain was far too complex and too confusing for their staff’s knowledge base. With no need to purchase new hardware, we were able to reprogram their controls and correct any former issues they were having. We continue to control, monitor and revise their settings as needed. Controls Analytics: Our controls web management software includes analytics reports that keep track of usage, performance, and system issues. The Analytics includes two types of monitoring: Alarming (which informs you when something is wrong) and Trending (which provides overall performance for a set period of time). System Failure Prevention: Our programmed analytics report not only tell you when performance is less than optimal, it can also anticipate and diagnose needed repairs before they become costly equipment replacements and production downtime. For example, if your HVAC is not performing as it should, the controls will attempt to maintain and repair itself, but if not, it will diagnose the source of the problem and send an email message to the designated company representative, as well as alert our staff. Once we login remotely to analyze the reports, we will order the recommended parts online and schedule a time to make the needed repairs, saving you money on reducing service calls and diagnostic time. We received a call from the Kenton County staff with complaints of comfort (temperature) control issues, poor energy efficiency, and outdated technology. Our project’s focus was to save the City of Maysville energy while also repairing comfort issues. 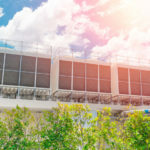 When we visited to diagnose their system, we discovered they had an outdated VVT system so we upgraded to a smart VVT system with a Tridium graphical user interface, instead of the costly process of replacing their entire HVAC system. We programmed the system according to their organization’s need, refined the settings after several weeks of monitoring and then trained the staff so they can monitor the systems remotely. Within a few weeks, the benefits were realized through their energy cost savings, increased comfort and decreasing their carbon footprint. The building is now comfortable and on a night setback schedule to save energy. We also have trending reports to inform us if the system is running too long or if temperatures are out of range. Working with a local ESCO company on the Kenton County Commonwealth project, the client’s operation and maintenance costs were reduced. “I want to let you know I really appreciate your quick response to my request last Friday. Your quick response and the fact that you took the time to speak with Carla and explain why they had the issue speaks volumes to the importance that you and CPS place on customer service. This is a critical aspect of our relations with our clients and the vendors and subcontractors that we choose to work with. 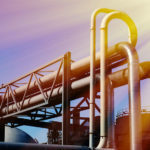 We are not the only energy services company in the market place and you seem to understand that CPS is not the only controls and mechanical company in the market either. We have competitors in our market just the same as you do. One of the significant differentiators we stress between us and our competitors is the value that we place on our relationships with our clients and the lengths we will go to maintain these relationships. I’m glad to see that you and CPS share this viewpoint. I just wanted to take a minute this morning to thank you for a job well done on this issue and on past issues we have had at the Kenton Commonwealth building. We appreciate it and want to make sure that you know that we value our relationship with you, Jeff and the rest of the CPS team.” – D.R. 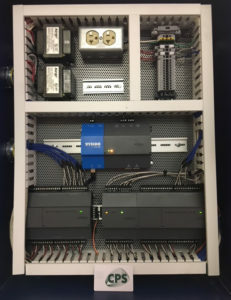 CPS worked on updating and reprogramming the controls in three schools in the Bourbon County School district. On the Bourbon Central Elementary project, no installation of new controls hardware or new HVAC equipment was needed, instead we added a Full Tridium integration while using existing controllers. By reprogramming the sequence of events and schedules, we were able to achieve energy star ratings without losing and comfort levels. On the Bourbon Preschool project, we added no hardware or software whatsoever. We simply programmed the existing controls to a tighter standard for better energy efficiency with the same comfort levels. The Cane Ridge Elementary was basically on two different Controls systems in one building that could not “talk” to each other. 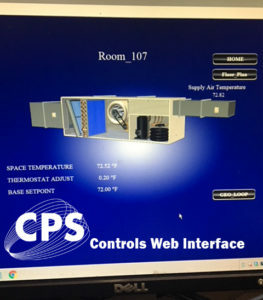 So we added a Full Tridium integration to bring together Johnson Controls and TAC INET into one graphical user interface. This also allowed the school system to schedule, alarm, and trend the building as one instead of two separate systems. We were also able to reprogram all Controls to obtain energy star status and much better comfort levels. As a result, CPS managed to achieve Energy Star Certification on all three schools. Call Danny and our team at CPS to for your all business and industrial controls setup and maintenance. Get Better Control of your Business Today! 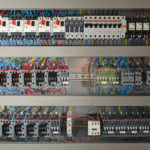 Request a Quote (LINK) on a new or reprogrammed Commercial Controls system. Our goal is to provide our services in the most responsive and valued way. We provide our technicians with proper tools and technology to assist our customers and keep their equipment running to optimum efficiency. We will be good stewards of the environment and strive to be a positive influence in our industry and communities.